Yida Camp, South Sudan—The Yida refugee camp, just south of the disputed border between the Republic of Sudan and newly-independent South Sudan, rarely feels like the edge of a warzone. Children chase donkeys and bicycle wheels through the streets, and the men spend the day languidly sipping spicy coffee in the camp’s surprisingly busy marketplace. 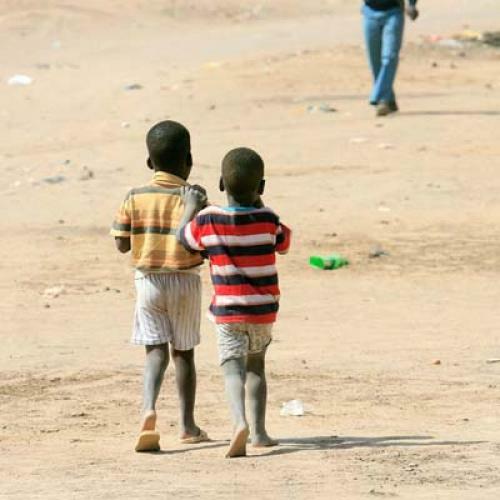 The warzone is in the Nuba Mountains in the region of Southern Kordofan, a fifteen kilometer trek away, through the desert and across the border with the Republic of Sudan. The conflict in the Nuba Mountains, where the non-Arab Sudanese People’s Liberation Movement-North (SPLM-N) is waging an insurgency against Khartoum’s Arab-dominated government, isn’t quite equivalent to the slaughters that have occurred in Darfur, in western Sudan. In that conflict, Khartoum used its local proxies to exploit long-simmering tensions between the region’s Arab and non-Arab communities. In Southern Kordofan state, by contrast, the Sudanese Armed Forces are doing most of the killing (although that may change with the recent news that Omar al-Bashir is in the process of mobilizing 21,000 irregulars for service in Southern Kordofan). But there is a striking similarity between the two conflicts: In both Darfur and Southern Kordofan, Khartoum is fighting to preserve the exclusive and chauvinistic nature of the current Sudanese state. When I asked refugees to explain why their people were fighting the north, the answers were similar: For the Arab government in Khartoum, the Nuba of Southern Kordofan simply don’t exist. Although between 60 and 70 percent of Southern Kordofan state’s roughly 2.5 million residents are Nuba, the group is given no meaningful political representation in Khartoum, which has in turn done almost nothing to develop the region. The government’s campaign in Southern Kordofan is ostensibly driven by concerns about internal security, rather than racial or ethnic animosity (right now, the SPLM-N controls 70 percent of the Nuba Mountains, most of it high ground). But every refugee I talked to believes that the violence is racially motivated. “The government in Khartoum doesn’t like Nuba,” says Rodi Tia, who had to hide from Antonovs when she walked to Yida with her seven children. “They say they don’t need any black people in Sudan.” Ismail al-Yundi speculated that the government in Khartoum is driven by a naked territorial imperative. “In the mind of Khartoum,” he says, “they think they can kill these people and get the Arabs to settle the land.” At least among the refugees here, there’s a belief that the regime in the north is implacably racist, and willing to go to almost any length to protect the character of the state. This latest round of fighting began when the regime rigged Southern Kordofan’s gubernatorial election in favor of ICC-indictee Ahmet Haroun, an architect of the government’s genocidal Darfur campaign. Bashir’s hardline approach is arguably rooted as much in pragmatism as racial chauvinism. The loss of the south, as well as last year’s student protests, weakened his domestic position. Moderation and compromise just aren’t conducive to his long-term political survival. Meanwhile, the difficult life in Yida carries on. The camp is a thin, even controversial lifeline—because the SPLM-N is present in this part of the porous and ill-defined border region, the U.N. considers this to be a militarized camp, and does not allow its personnel to stay here overnight. But it is a lifeline nevertheless. At a World Food Program warehouse here, the crowds billowing behind a string partition waited patiently for a month’s worth of sorghum, lentils, and salt. “This is the first time they’re being given 30-day rations,” says Conor Lucas-Roberts, a coordinator for Samaritan’s Purse. Lucas-Roberts thinks that if the Yida camp were to disappear, briefly a possibility after the Sudanese air force attacked it back in November, many of the camp’s 16,000 residents would simply take their chances in the Nuba mountains. Seven months ago, Yida was a village of 500, too small to appear on even extremely detailed maps. Unfortunately, it is likely to remain an anxious and hungry city of over 16,000 for a long time to come. Armin Rosen is a freelance writer based in New York.